Our company holds immense experience in this domain and is involved in offering wide assortment of Foam Fire Extinguisher. 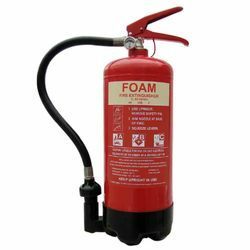 Owing to our rich industrial experience and expertise in this domain, we are engaged in providing Foam Fire Extinguisher (Mechanical Foam Fire Extinguisher). We are highly acknowledged organization engaged in presenting a remarkable range of Foam Fire Extinguisher. 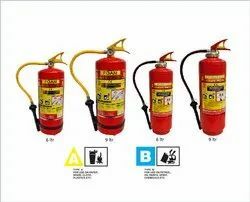 Banking on the skills of our qualified team of professionals, we are instrumental in offering supreme quality range of Foam Fire Extinguisher. Used for Classes A & B fires. Foam spray extinguishers are not recommended for fires involving electricity, but are safer than water if inadvertently sprayed onto live electrical apparatus.